Can I gift my partner one of my buy to let properties? Can I gift my partner one of my buy to let properties so that I don’t pay tax on the rentals as she has no income, and therefore won’t pay tax on this one property (and I have no mortgage on it)? From the wording of your question (you refer to your ‘partner’) I am making an assumption that you are not married. If so, you do not need to gift to her a whole property, it is sufficient if you just gift to her a minimal percentage of the property (e.g. 5% or even 1%). Once she is a co-owner with you in the property, you can then draw up a written agreement between the two of you, that even though you own 95% of the property, and she owns 5%, nevertheless she is entitled to and will receive 100% of the rental income. Then make sure that the rental income goes to a bank account in her name, and that any allowable expenses relating to the property are in her name (so that she can claim them against her rental income). She will now be taxed on all the rental income. 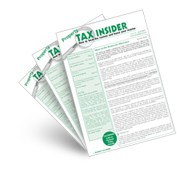 See PIM1030 on HMRC’s website (www.hmrc.gov.uk/manuals/pimmanual/PIM1030.htm).